For me and my girls, camping is a cherished and fun filled family past time. It’s exciting and the only time the kids and I ever really feel free! I have learned so much over the past years and would like to share with you my tips, tricks and things I have learned about camping. Whether you are a novice camper or a pitch perfectionist, I am sure you will find something here that will make you smile, enhance your camping skills and increase your abilities. Before you go, make a checklist of everything you think you will need to make your trip a comfortable one, this will also ensure that you return home a happy camper and eager to get away again. Figure out what to bring based on how much room you have and how long you’ll be gone. Freeze bottled water to use at the bottom of the cool box. When they melt, you can drink them! Arrive early. Give yourself plenty of time to set up camp before dark, especially if it is your first camptrip. Save inner cardboard tubes from kitchen and toilet rolls before your trip, stuff with wastepaper or dry twigs and use as fire-lighters when you are finally camping. Freeze milk and any food that you can in the freezer, ready to go in the cool box so it will keep longer. Spend a night with your kids in the tent in the garden before their first trip. 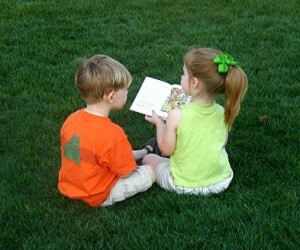 It’s a good way to familiarize children with sleeping outdoors. If you’re new to camping or have young children this is a great way to give camping a trial run, and if anything goes wrong, you can run inside…like I did! Always use a ground sheet (these are also known as a tent footprint/tarp). It’s another layer of insulation and moisture control, and it will protect your tent floor from excessive wear and tear. An old shower curtain will make a great makeshift ground sheet. When camping in the cold, put the next days clothes and shoes at the bottom of your sleeping bag for the night. that way they will get warm for in the morning. 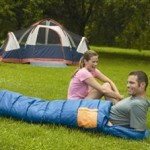 You can find some great sleeping bags here on Amazon. Hang or place a first aid kit somewhere that is easily accesible inside the tent. Make sure everyone knows where it is AND can reach it if needed. You can find some good ones here. You can find some great first aid kits here. A large zip lock plastic bag, filled with air can be used as a makeshift pillow. People love camping near water, but if the water isn’t moving, it’s likely to have a large insect population hovering about, not to mention the smell of stagnant water; stay clear if you can. Butter tubs make good storage containers for your camp kitchen. Adding sage to your campfire or firepit keeps mosquitos and bugs away! 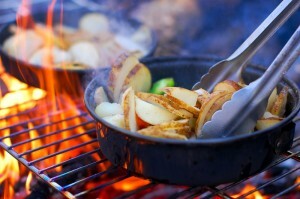 Rub a bar of soap along the outside of your pans when you’re cooking over an open fire. That way the black scorching from the fire will come off without too much effort. When packing your food, don’t forget the spices — salt and pepper can liven up any meal. Make a small kit consisting of a small bottle of olive oil, salt and pepper, paprika or chilli powder and one other seasoning of your choice as the basic cooking kit (mine is mustard!). Try, where possible to buy fresh local produce from nearby retailers or farms. Not only will it taste far better but it will also help the local businesses and you can shop daily or as and when you need. One way to appease reluctant campers is to give them two duvets to sleep in rather than a sleeping bag. On the classic freezing UK camping holiday it does make the nights much more comfortable. Unroll your sleeping bag right away, so that when it’s bedtime, the bag has lofted up and is ready to offer full insulation. The same goes for your self-inflating sleeping pads and mats. Have a flashlight or torch for each person. Place it under your pillow while sleeping so you know where it is for those middle of the night emergency calls! Fill your water bottle with boiling hot water, wrap it in a towel, and put it in your sleeping bag a few minutes before you climb in. This makes for cozy sleeping quarters. Be prepared for any kind of weather. Take rain gear, warm clothes and shorts and wellies. I have made that mistake twice, thought it would be cold and it was 90 degrees and vice versa! Wrap a wet washcloth in a foil package and put it into your pack. You’ll have a handy ‘wet-wipe’ for cleaning hands and face after a satisfying camp meal. A hat is essential. It keeps the sun off your head and face during warm weather, and keeps heat from escaping from your head (a prime source of body heat loss) during cold weather. A pair of flip flops are handy and hygenic to wear in the camp ground showers. Keep mosquitoes away rub the inside of an orange peel on face, arms and legs. When out on long walks, to protect your feet from blisters, smear soap on the inside of your inner sock at the heel and underneath the toes. Carry along a bar of soap and when you feel your feet become tender just re-apply. Layering is the key to proper camping attire. Have a base layer, a mid-layer (insulator such as fleece) and a shell (rain jacket) on hand. Break in those new boots long (weeks) before you hike a mile in them. This can be done by wearing them for a couple hours a day around the house. A frisbee will add support to paper plates when the plate is place inside the frisbee. Waterproof matches by dipping them in nail polish. A length of chain and a piece of coat hanger bent into an S-shape will allow you to hang your lantern from a tree limb. Make a camp washing machine from a five gallon bucket and a plunger. Make fire starters by filling paper cups with saw dust and pouring paraffin into the cup. Guy ropes make great washing lines! To prevent batteries from wearing down if a flashlight is accidently nudged on while you’re traveling, put the flashlight batteries in backwards. Take some dental floss. It’s better and more hygenic than a toothpick, and is strong enough to work as thread for fabric repairs or as emergency bootlaces. Duct Tape! There are at least 101 uses for it and you would be amazed at what you can fix with duct tape! I’ve used it to patch tents and backpacks, keep wind out of zippers, keep a sole attatched to my daughters shoe and decorated my tent with flags and buntung for the jubilee! Tea (always with a biscuit) tastes better when you’re camping! A good old-fashioned deck of cards is a winner on any camping trip. Those little headlamps may look silly, but they’re worth their weight in gold when you need two hands free in the dark, especially when you have young children that may wake in the night. Consider binoculars a basic camping tool. Your trips will be more rewarding if you do. Plan well. 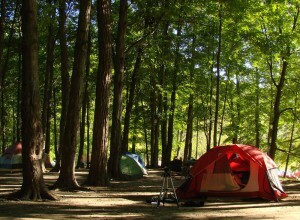 A thoroughly thought-out camping trip has a greater chance of success than a last-minute fling. Each time you go camping, make a note of anything you wish you’d taken at the time. Make a note of it on your computer or in a notebook. When you get home it will be a handy reference to refer to the next time you go. You will get dirty! If you’re ready for this, it will bother you less when it happens. 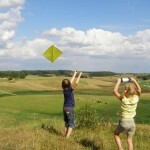 Enjoy being in the great outdoors and allow yourself to let loose and be messy. This, I feel is really important for kids so they can feel free and have fun with no restrictions. A bit of dirt won’t hurt! You can go back to normal when you go home. Saying hello to your fellow campers is very important and lasting relationships can be formed this way. You never know when you might need to borrow a tin opener/mallet/mobile phone or just a friendly chat if you are camping alone. Accept that every day will be a bad hair day. 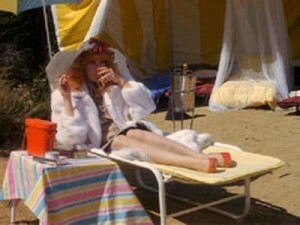 Glamour has absolutely no place on a campsite (my daughter has yet to accept this fact!) unless of course you are Glamping! Rediscover the art of conversation, story-telling, playing in the dirt, and stargazing. None of these activities require complex gear or money and can create many memories! Everything above should lend to a smooth camping experience. With common sense, the right equipment, and a positive attitude, the camping world will quickly become your second home, as it has for me. I hope you can make use of these tips, tricks and things I have learned about camping for yourself! 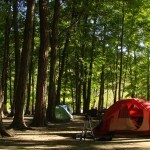 6 responses to "Tips,Tricks and Things I Have Learned About Camping"
Hi Rosie! Great article with tons of tips. Here is another one your readers might enjoy … to get out stubborn tent stakes, hook a rope under the hook, wrap the other end around the handle of a hammer or mallet, and use that to get leverage to pull the tent stake up … works like a charm! Some very good nuggets in there. The mosquitoe tips were nice and the orange is interesting. The one I use most is Duct tape. The number of repairs I have made to boats, fishing waders, boots, body and everything else is amazing. I like the trick of taking out some duct tape and wrapping it around your water bottle a half dozen times or so. You will always have a supply handy and won’t have to think about it. A valuable article for us, campers – no matter if you are a beginner or consider yourself a pro. I have been camping for 15 years already and still found some great tips in your post, like the one about making use of guy ropes as washing lines. Camping is funny and stress – removing. I often spend my weekend with friends or family to go somewhere for relax.